A group of Louisville residents is suing three distillers claiming ethanol emissions produced by making booze has caused a black, soot-like growth known as whiskey fungus to bloom on cars and houses. The residents claim that ethanol emissions by Diageo America’s Supply, Brown-Forman, and Heaven Hill Distilleries are not necessary to make or store liquor at three separate facilities in the city. The group claims that the whiskey fungus clung to metal, vinyl, concrete and wood and has marred their property and lowered its value. 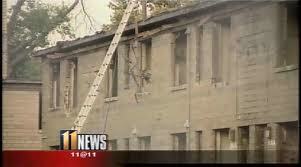 The residents filed the suit Wednesday in U.S. District Court in Louisville seeking class-action status and unspecified compensation for damage to property. Heaven Hill spokesman Larry Kass, speaking for all three distilleries, said the companies are “sympathetic to the concerns” of the residents, but the blackening of the buildings and other structures is due to mold found throughout the environment, including areas not related to whiskey production. “The companies involved do not believe that they have caused any harm to the plaintiffs or their property and we will vigorously contest these claims,” Kass said. Whiskey fungus — known scientifically as Baudoinia Compniacensis — is created by a chemical reaction involving ethanol emissions, which are produced by liquor distillers. Ethanol evaporates from the whiskey barrels during the aging process — an escape referred to by distillers as the Angel’s Share of the whiskey.